I bumped into a video on Twitter where an Econet brand activator was assaulted by a very annoyed woman. The woman holds the Econet girl by the ear and tells her to leave her husband alone. The girl is clearly mortified and at a loss for words. The woman tells the girl not to mention their encounter to the husband but what she didn’t realise is the power of citizen journalism and the monster that is the internet. Calling out side chicks is mutually detrimental. It’s like modern day Samson where you’d rather destroy the house with you and your enemies in it. He’s cheating, what should I do? Instead of running around chasing every single side chick (which can get exhausting.) You can start by trying to have an honest conversation with your husband. What is he going through? What is causing him to act out the way that he is? Truth is, relationships are about listening and learning your person. Could it be that somewhere along the line the two of you just stopped trying? What you shouldn’t do if your husband is cheating? Don’t ever think its all your fault. Cause it really isn’t. Humans are all broken in their own way and some people are broken beyond repair. If he’s cheating it doesn’t mean you’re any less of a woman or you are less attractive. It could genuinely be a deep wound that has nothing to do with you. He could be retarded emotionally. You won’t know til you ask him what’s going on. Should I confront him about his cheating? Absolutely! This is the only person that you should be discussing your marital problems with. Don’t summon his whole clan to drag him in front of his family. Rule of thumb in this situation is to deal with the person that’s joined in matrimony with you. Unless if there are extenuating circumstances whereby you do not mind him out sourcing his conjugal rights because the mere touch of his hand makes your skin crawl. Also if you knew full well going in that he was a problem then continue to turn the blind eye you’ve been turning since the jump. If he is like a billionaire or something I’m sure you can find it in your lavish lifestyle to forgive him. Should I leave a cheating spouse? Do what feels good for you. Nobody can make that decision except you. You know what you can take and how far you are willing to go. God made us all unique, no two people are the same. Which means every relationship is a combination of a unique set of rules. Some can stay with a cheating spouse. Some have strong reasons to keep the marriage going despite the infidelity. Some are less tolerant and will walk straight out of the marriage. It’s up to you to decide which one of these people you are. Don’t go viral on the internet over silly things. Worry about the virus without cure that he’ll bring into your home. 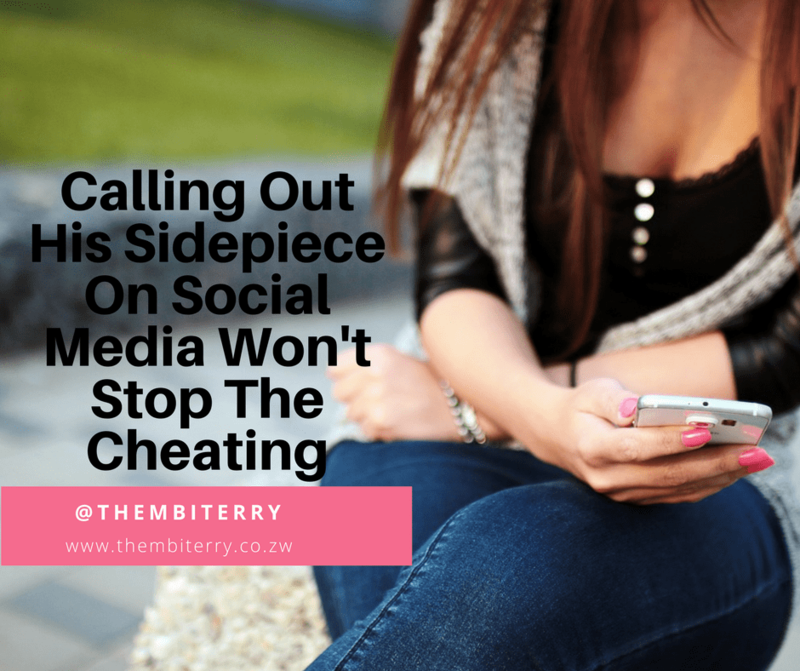 How would you deal with a cheating spouse?